Fear of change is another major factor that many have to contend with in order to set goals, especially as a team. Fear – noun 1. an unpleasant emotion caused by the belief that someone or something is dangerous, likely to cause pain, or a threat. For some people the fear of change trumps the potential benefits of the change itself, at least initially. The old status quo may need improvements but at least it is familiar, at least it isn’t change. As a member or leader of a team, it is good to keep in mind that some in your team may be resisting change because they fear it. It can be tempting to pull back when there is resistance. But resistance itself isn’t enough to make you not follow through with the change, the question is why is there resistance? It takes courage to push through resistance. Being able to help the team be courageous is one of ways a Scrum Master “encourages” the team. In this instance, ultimately the goal is to uncover both the logical and emotional blocks and to eliminate each one. Brainstorming on the pros and cons, and taking the time to allow everyone to have the opportunity to share any concerns helps to identify most, if not all of the issues to resolve. During this process listen closely to not only what people are saying but how they are saying it as well, to look for emotional concerns as well. Often resistance comes from a bad past experience at another job, or even where everyone is now. Sometimes it is something personal, and sometimes a group setting isn’t the place to address everything. Remember not every reason is logical, be respectful when helping people confront fears. Think the monster under the bed, allowing your child to get up and look under the bed with you and determine for themselves that there is nothing there to be afraid of, eliminates that issue, usually. Did you know you would be part counselor when you wanted to be a Scrum Master? 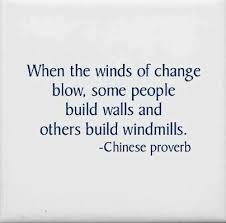 Every time I have been a part of a team there is a mix of people; some are eager to try new things and experiment to make things better = build windmills. Others shut down, resist, and drag their heels when it come to change = build walls. The way this usually plays out is that change happens at a much slower pace than some on the team want it while simultaneously happening faster than others on the team want it! Do you have any windmills builders on your team? Do you have any wall builders? How do you navigate the dynamics between the two? So how are the blocks eliminated? 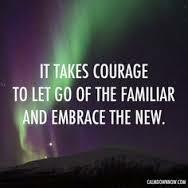 How can we help those afraid of change to feel better about it, to be courageous? 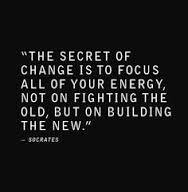 One of the best ways is to help them to focus all of their energy on building the new, not fighting the old. This can be anything from creating a detailed plan, to daily reminders of progress, or the benefits of the goal. Think loosing weight and how much more productive it is to focus on making good choices than to sit around all day and wish you could eat a chocolate cake! Doing it as a group often helps many people by giving them a sense of camaraderie and fellowship which increases their courage knowing they aren’t taking the risk alone. If a success after a failure can be identified, reminding everyone that endings can change and just because something didn’t work once, doesn’t mean that no matter what you do, it is doomed to fail for eternity. How do you encourage your team? How do you handle those who fear change? Help Agile Knoxville BE Agile – Survey says!